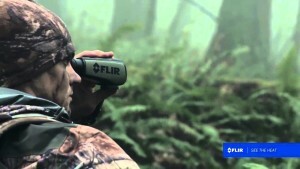 Flir specializes in the design and production of thermal imaging cameras. Its powerful compact products have revolutionized outdoor experience. With Big Apple Buddy’s personal shopping service, you can now buy direct from the USA Flir Online Store anytime, anywhere. 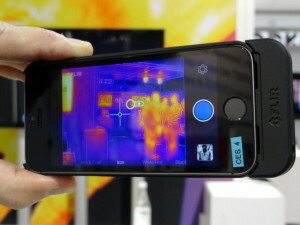 Turn your smartphone into a thermal imager with the new pocket-sized Flir One Thermal Camera. The second generation device attaches to your phone's USB or lightning port and allows you to see heat and measure temperature in seconds. Available in iOS and Android, the new Flir One Thermal Camera is ideal for homeowners and professionals. Looking for something more powerful? The new Scout II is the handheld thermal camera for the real outdoor explorers. Experience nighttime like never before with Scout II’s utility light and powerful zoom. Unleash your inner sailor with the Ocean Scout Marine Thermal Handheld Camera. Even in total darkness, you’ll be able to spot other vessels, landmarks, and debris in the ocean. Flir stores are located internationally, however, only at the USA Flir Online Store will you find the complete range of Flir products. 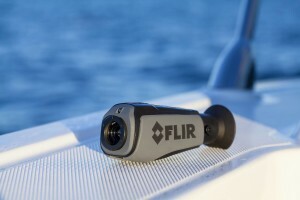 Unfortunately, the USA Flir Online Store does not currently offer international shipping. Big Apple Buddy, your personal shopper, can however help you buy from the USA Flir Online Store and ship the items to your doorstep, regardless of where you're located. If you would like to buy from the USA Flir Online Store, simply let us know what products you would like to order (by filling in the form below). We’ll get back to you with a free international shipping quote within 24 hours!